HDMI 6G Pattern Generator can output all HDMI specification defined resolutions up to 4K2K@60Hz (YUV4:4:4), as well as up to 20 different pattern contents to meet most of use and test cases. 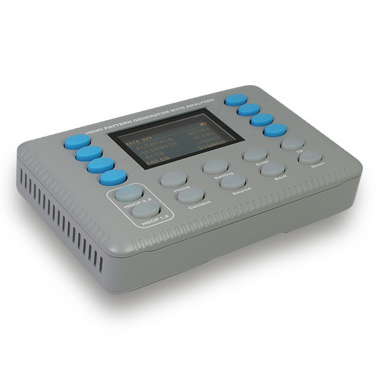 It also supports incoming HDMI signal analyzer including protocol, timing etc. CEC/ARC/HDR are also supported.